“The appeal of Kaweco, the best pen in the world” can be read in this old advertising of the German brand. Founded in 1883, Kaweco is one of the most emblematic Germanic brands thanks to its beautiful writing instruments, especially the Sport collection, available at Cabana. 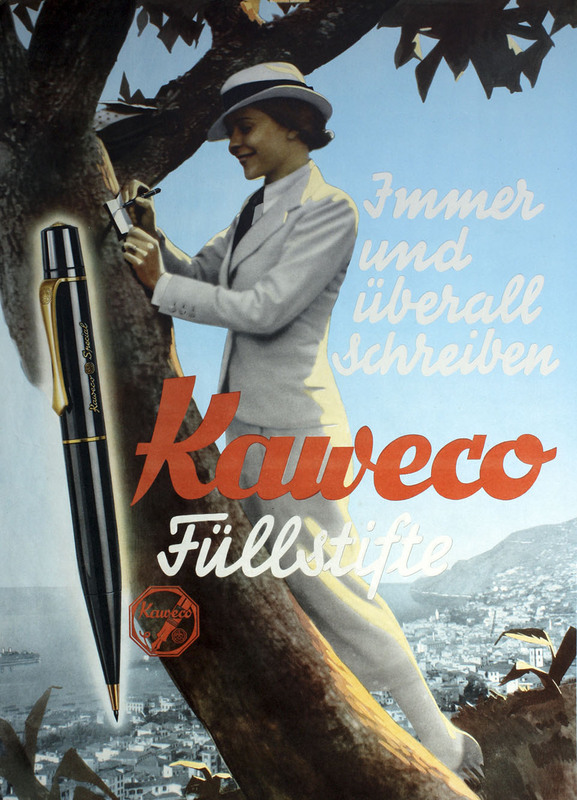 Despite its troubled history, which includes two great wars, some bankruptcies and a struggle to remain relevant in a market flooded by cheap pens, Kaweco found its niche market through the vision of the last owner, H&M Gutberlet, who acquired the rights of the brand in 1994 after it had closed in 1981. The Sport range, designed in 1935, is especially appealing for its unique octagonal shape, being quite ergonomic and pleasing in both hand and paper. Following the magnificent slogan at the time of its launch - “small in the pocket, large in the hand” - the Sport fountain pens, ballpoints and pencils have been little changed since its inception, retaining originality, high-quality components, durability and precision. Being one of our favorite products (and one of Cabana's bestsellers), Kawecos are essential accessories for those who love to write or draw, an authentic classic, a perfect gift!